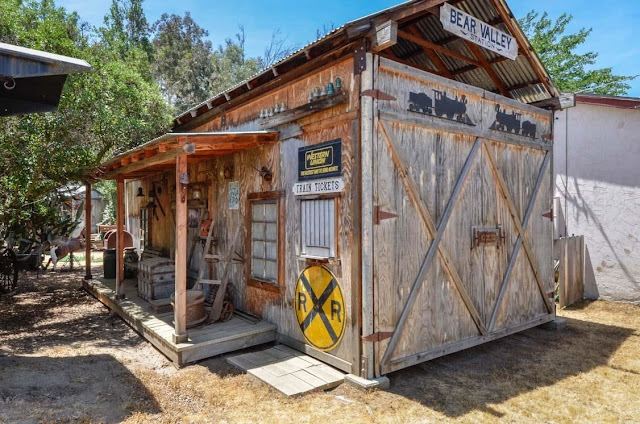 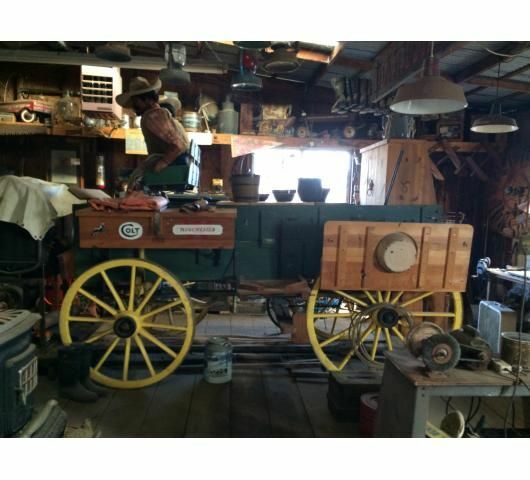 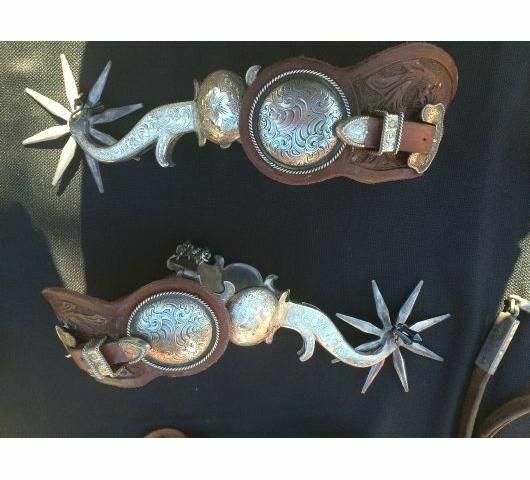 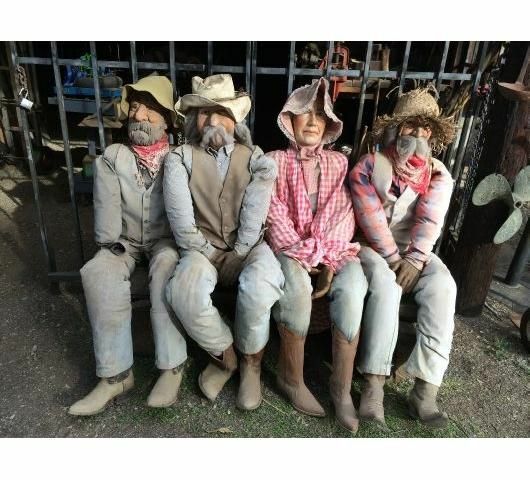 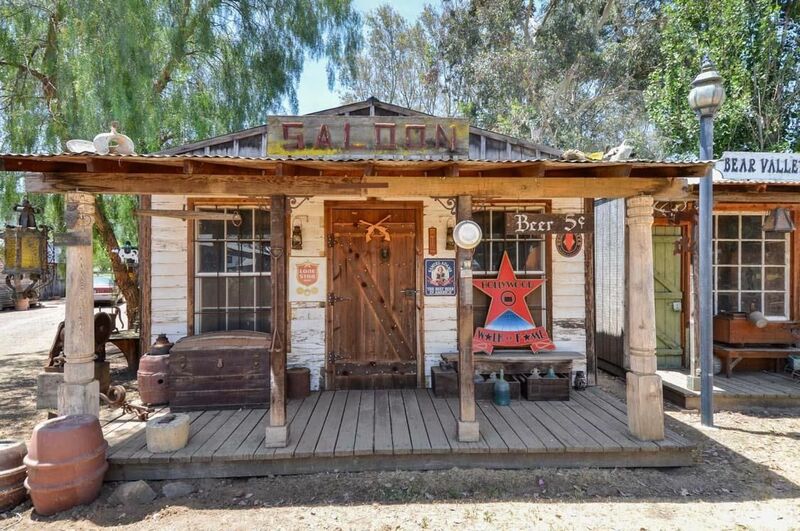 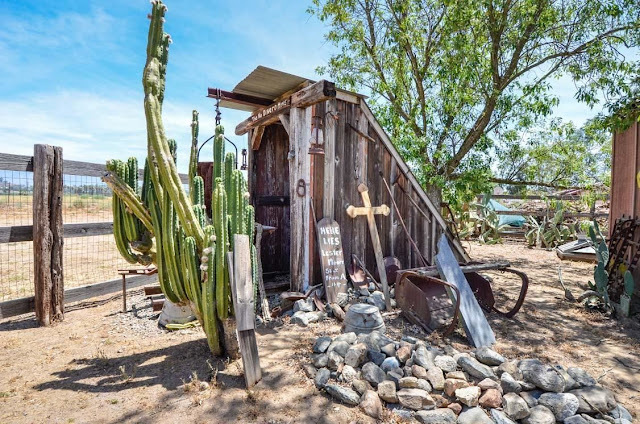 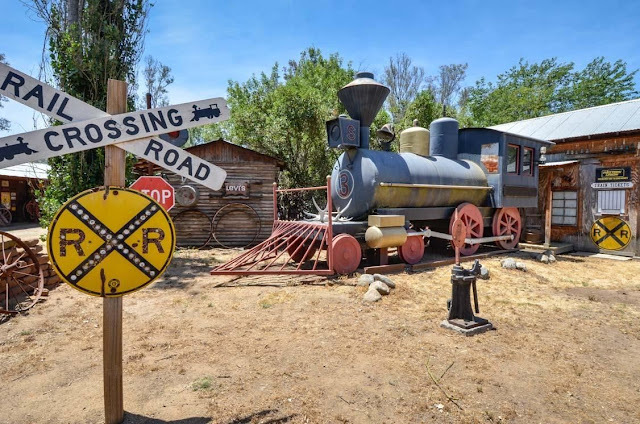 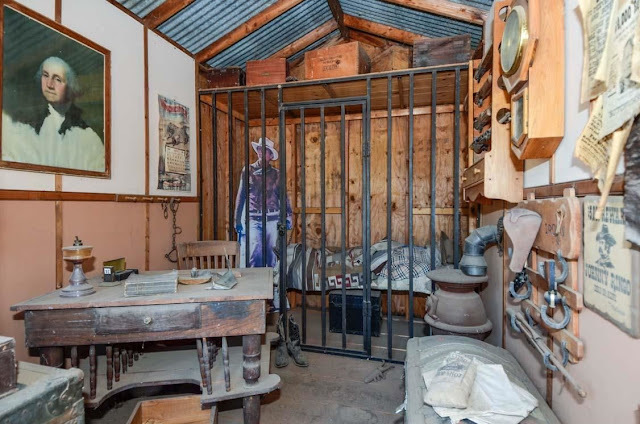 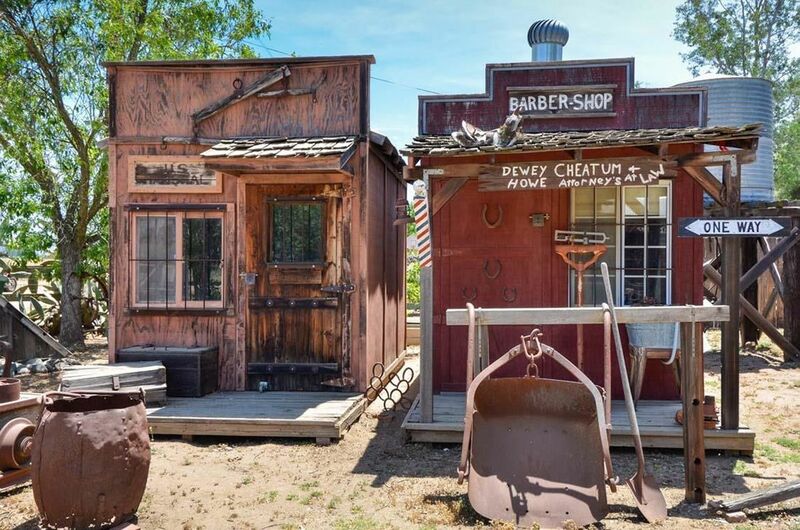 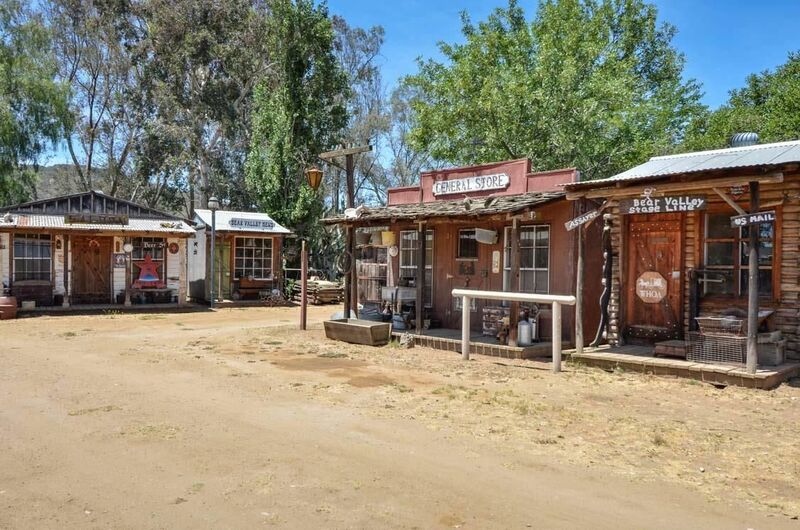 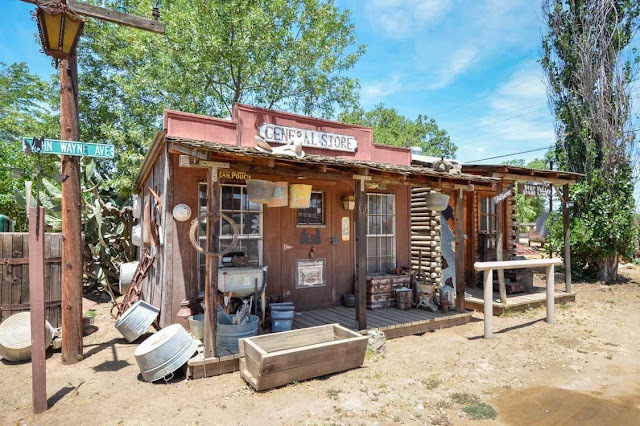 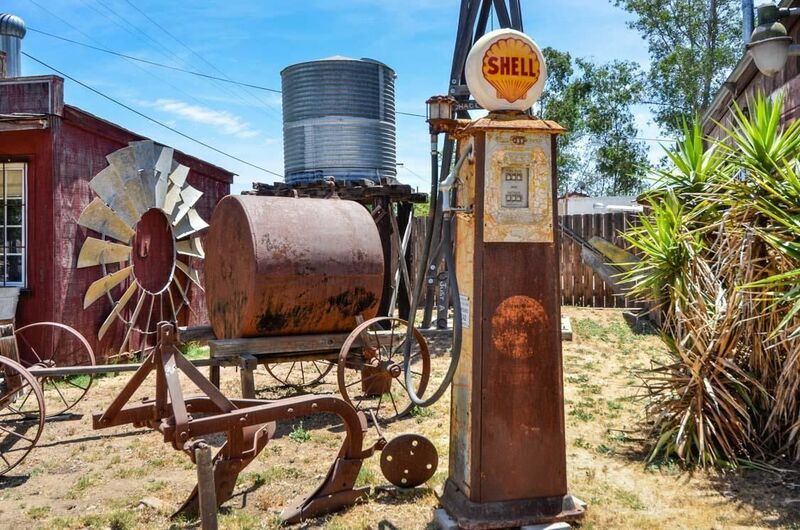 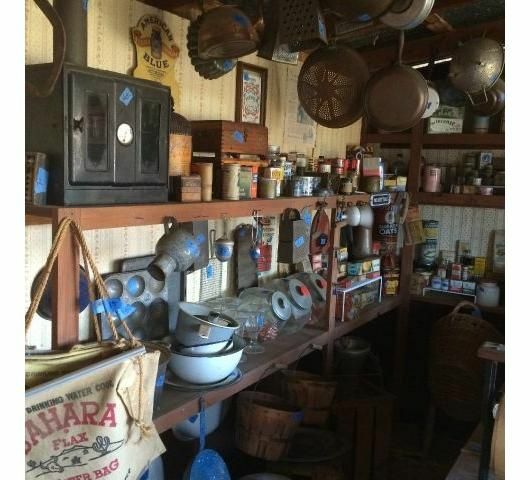 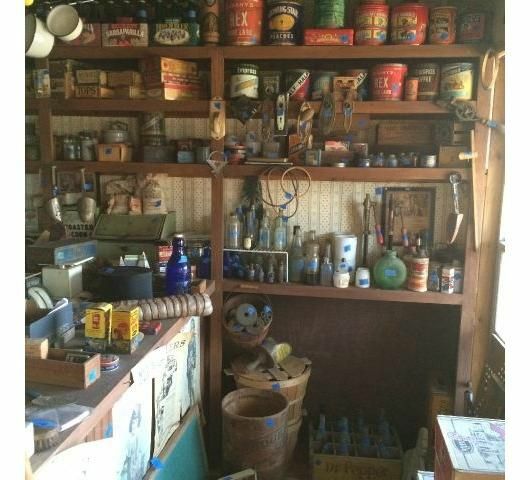 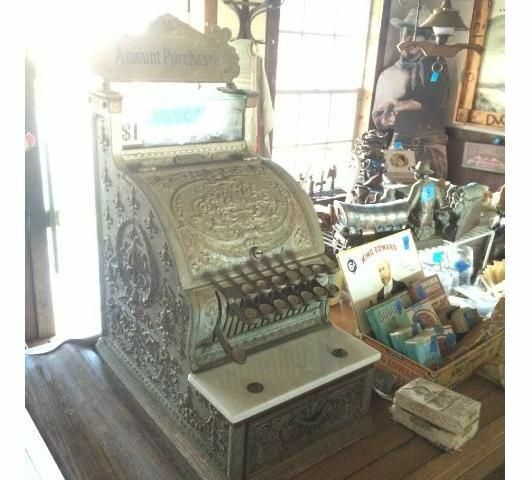 This story about a couple in their 80s who were liquidating their pet project – a collection of Old West memorabilia so massive they made a whole hobby town out of it – was one of Yahoo Real Estate’s most popular of the year. 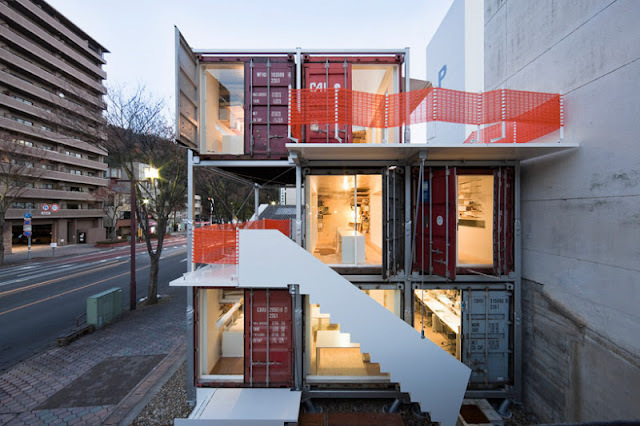 It was published in February 2015. It’s the end of an era at the Deskovick ranch. 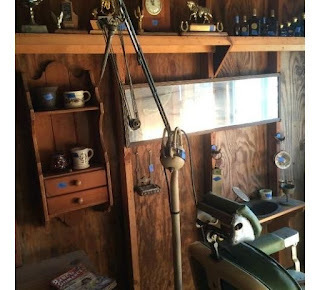 The end of more than one era, really. 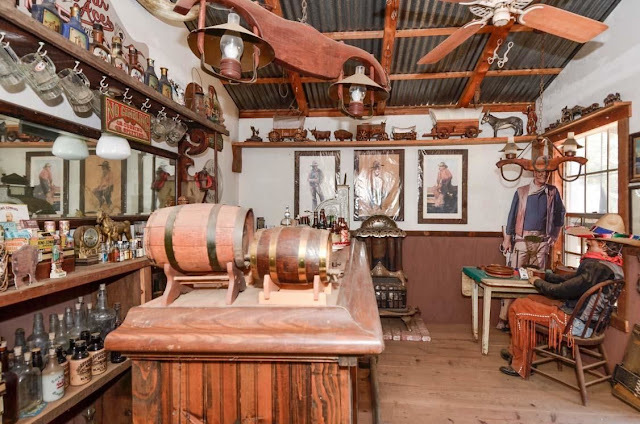 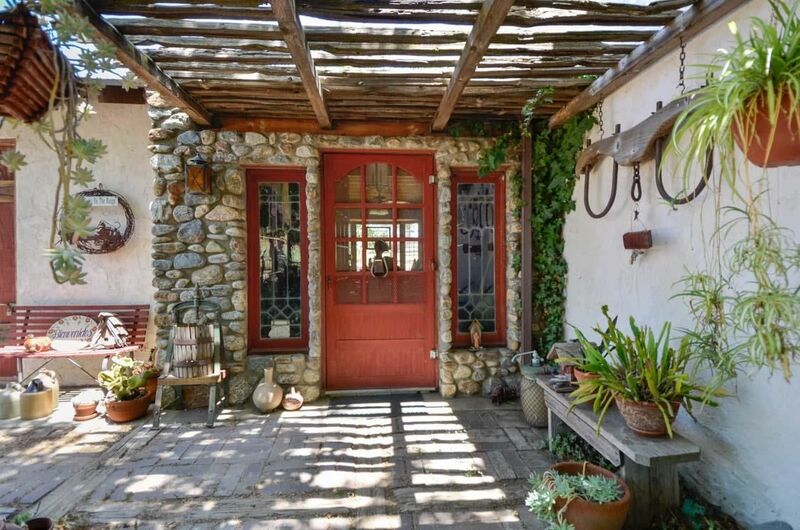 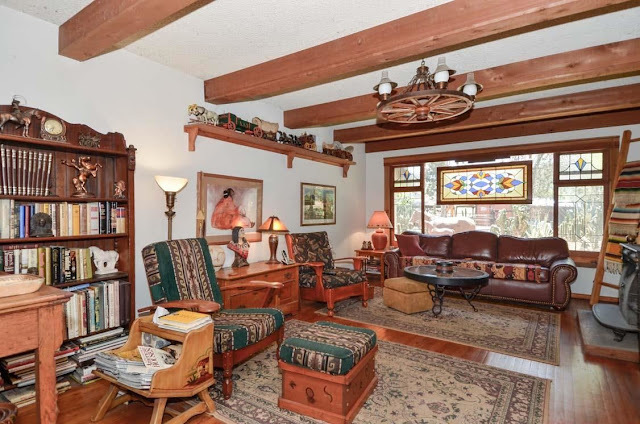 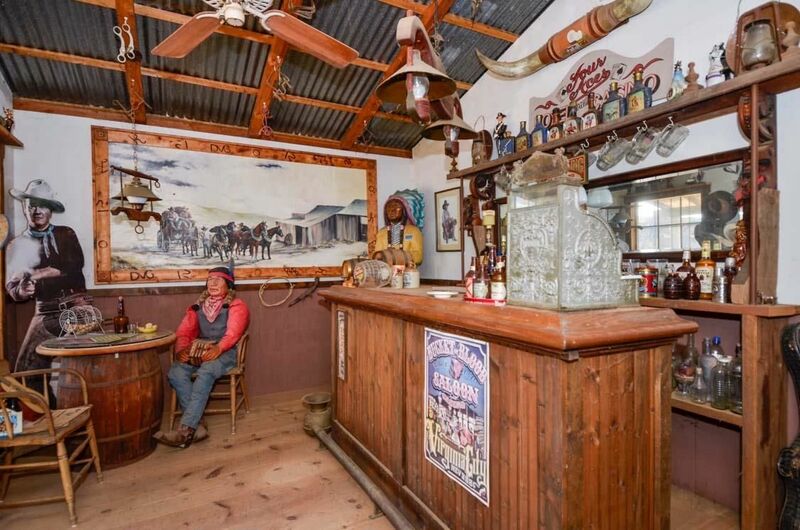 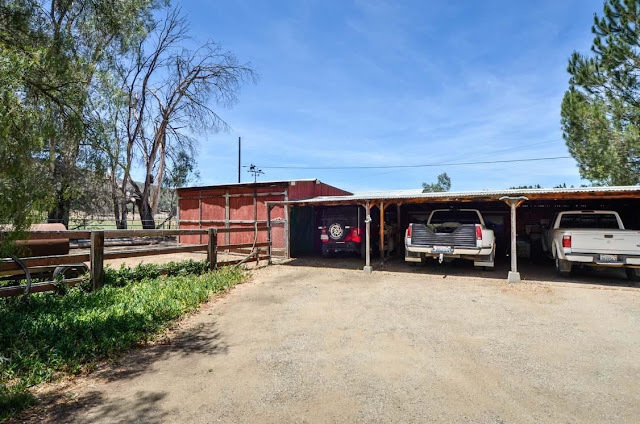 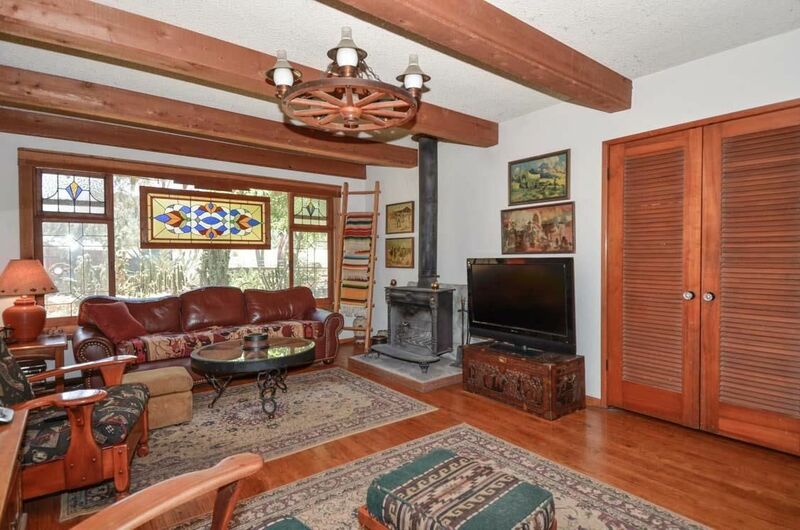 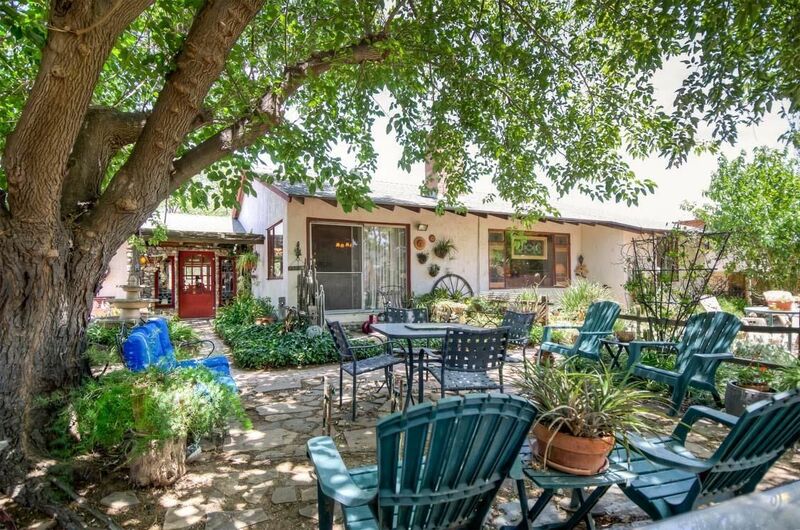 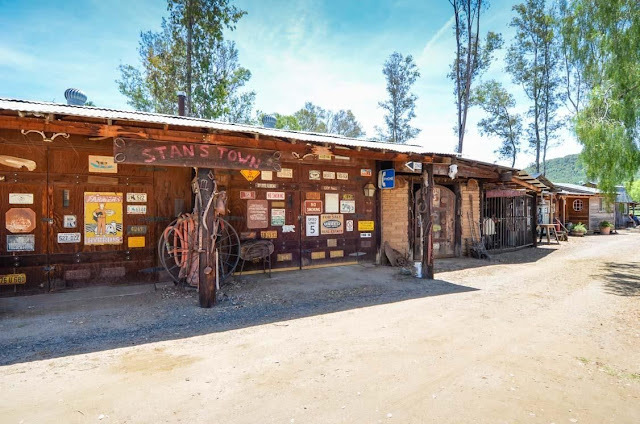 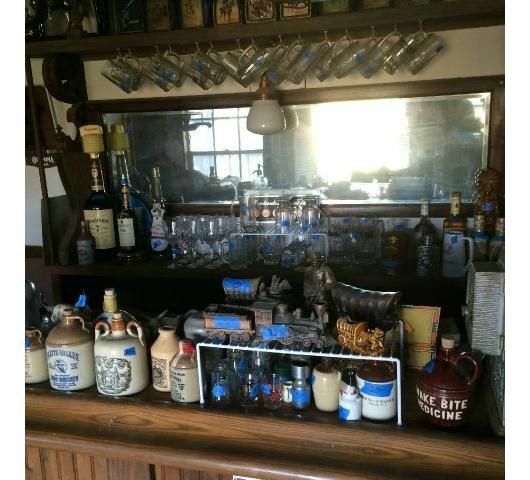 In the mid-1980s, Stan and Marjorie Deskovick had already been accumulating Old West memorabilia for decades when he retired from his job as a general contractor and they downsized to their current ranch-style house. 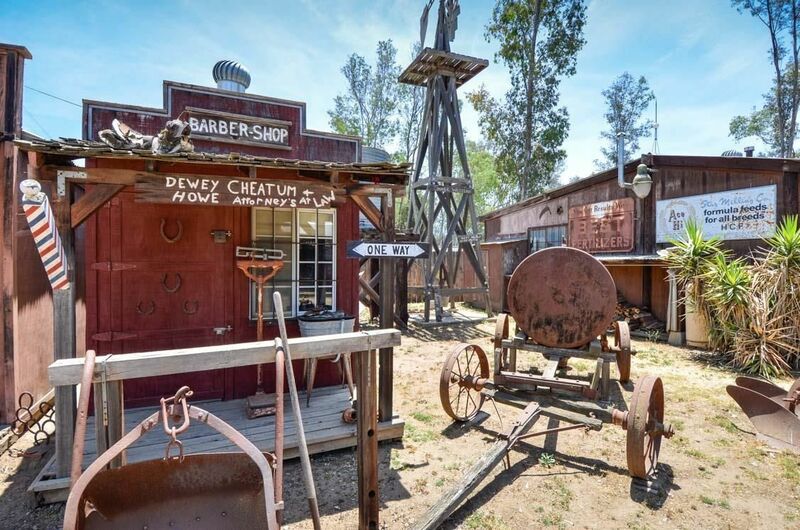 It’s on an acre near Hellhole Canyon Preserve, about 40 miles north of San Diego in Valley Center, California. 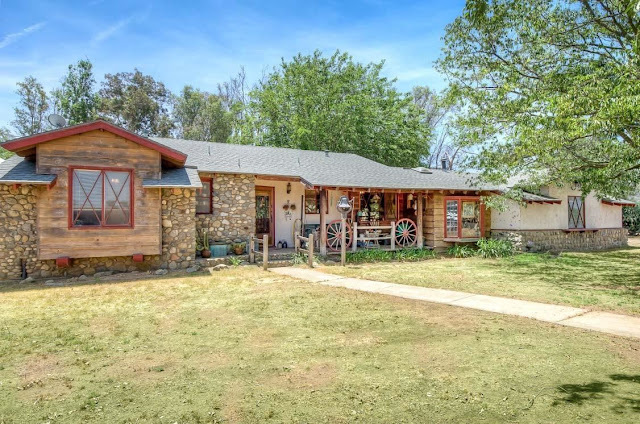 That acre of elbow room turned out to be just what they needed, because there was no way their collection was going to fit into their 1,500-square-foot two-bedroom on Rock Hill Ranch Road. 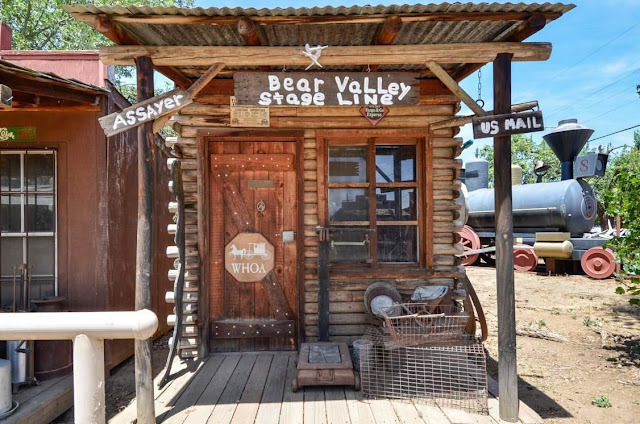 They set to hand-building themselves a little old Western town on their property, homemade signs scrawled in paint commingling with authentic trappings. 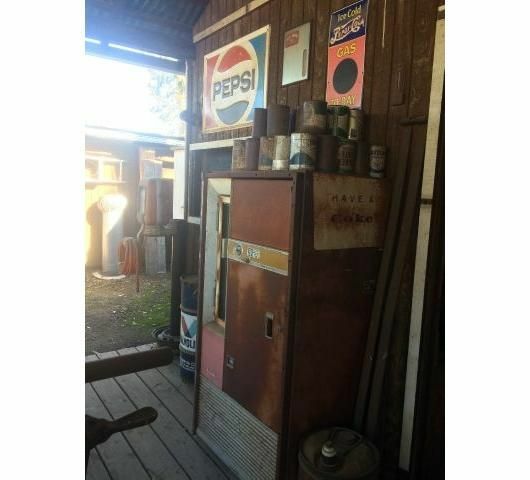 “Dewey Cheatum + Howe Attorney’s at Law,” reads one sign. Outside the “saloon,” another sign advertises “Beer 5¢” (and we had to go hunting for a ¢ symbol on our computer just to type that). 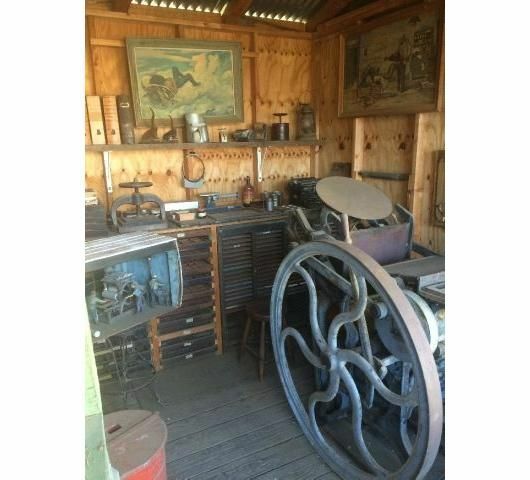 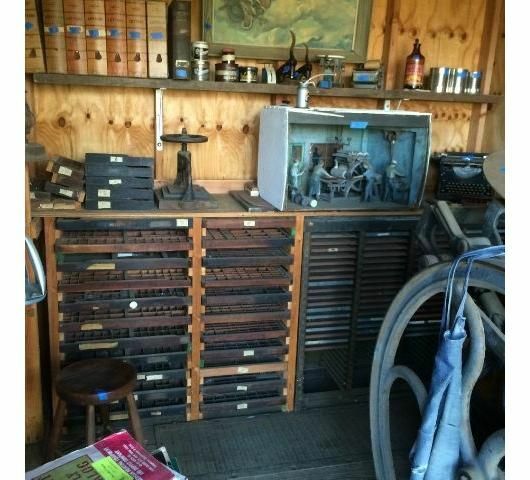 The “office” for the local rag, the Bear Valley News, contains an 1897 Challenge Gordon platen press. 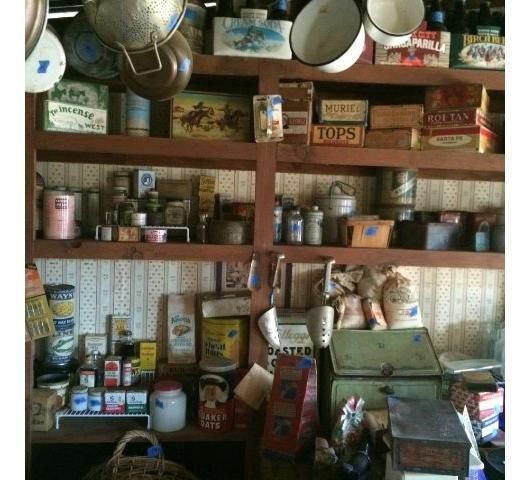 Vintage goods of all kinds crowd the general store. The Deskovicks do have kids, but the town wasn’t for them or for grandkids, Deskovick told Yahoo Real Estate firmly. 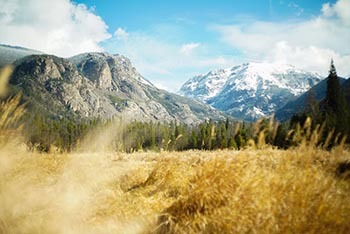 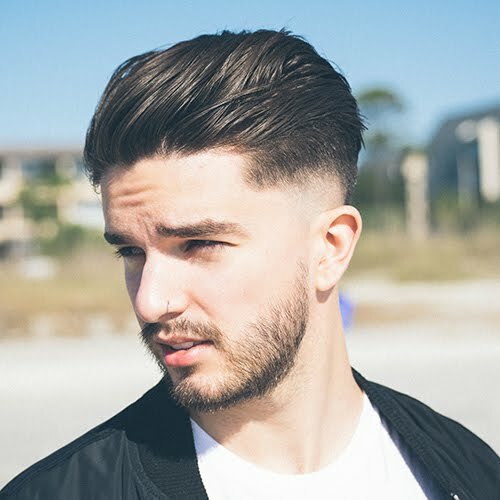 “I did it for me.” It was a rewarding project. 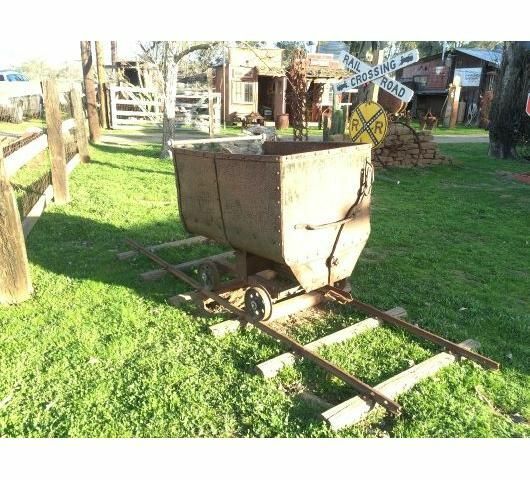 Time wears on, though, and upkeep is getting to be a bit much for the Deskovicks. 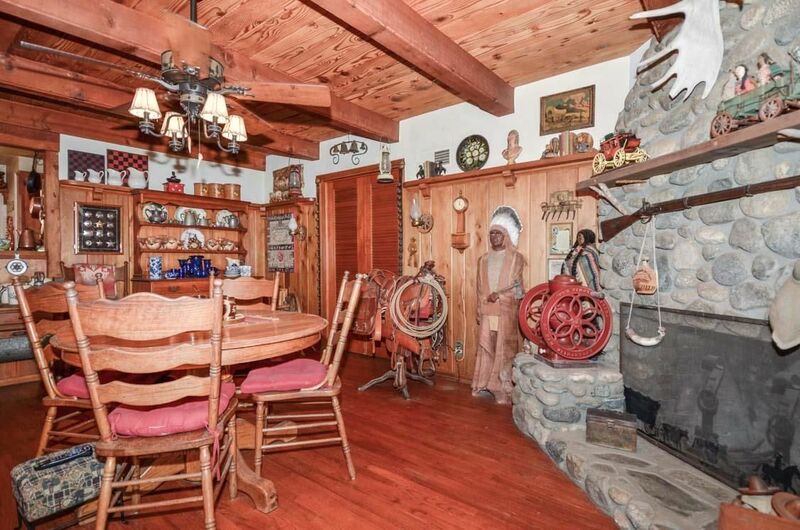 He’s 83, she’s 81. 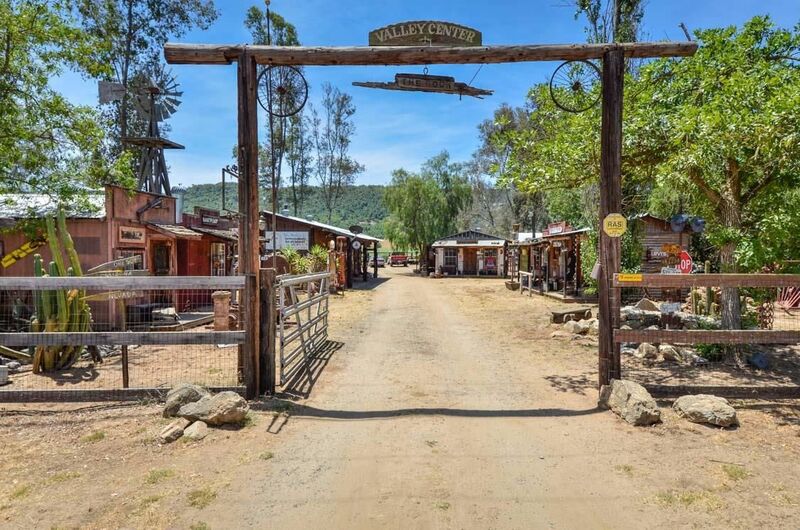 They thought to relocate — listing the property in the summer of 2014 for $1.2 million and then dropping their ask to $950,000 in September 2014 — but selling turned out to be tough. 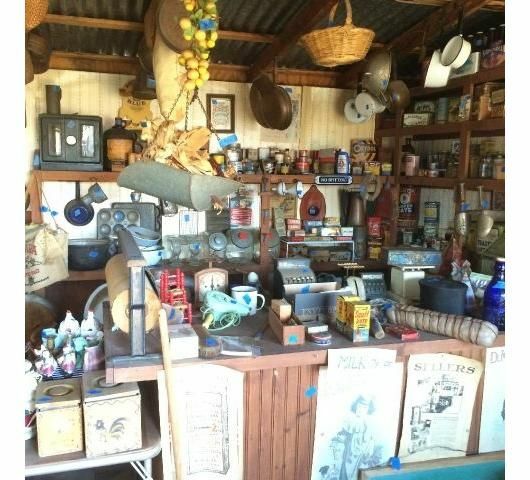 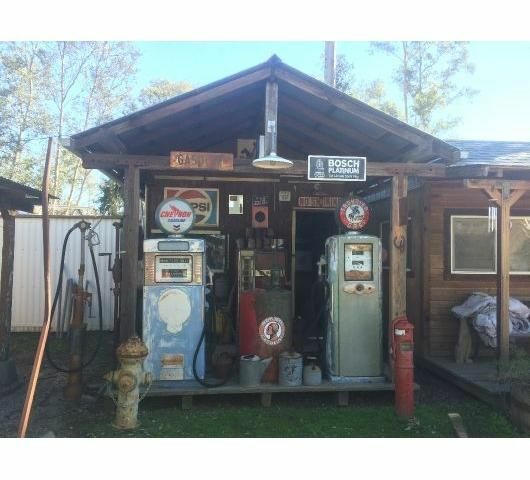 “The appraiser for the lender is not going to appraise any of the collectibles or the antiques,” their listing agent, Earl Brown, told Realtor.com. 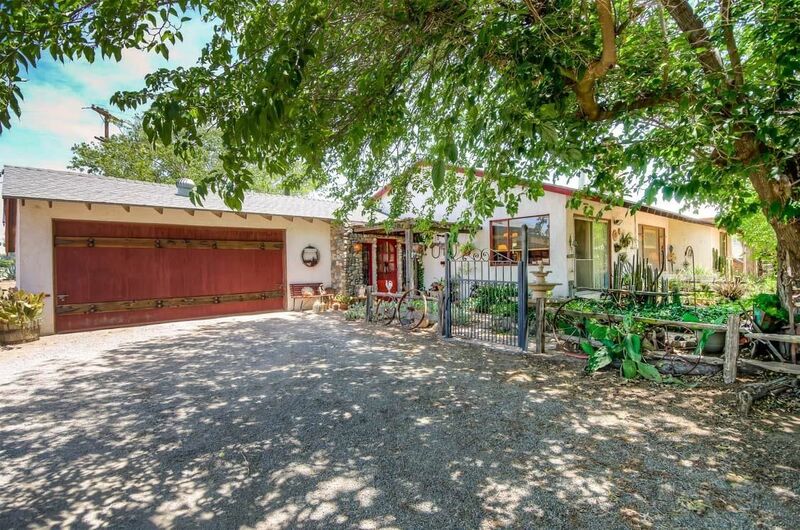 “Just the house” — worth maybe half a million. 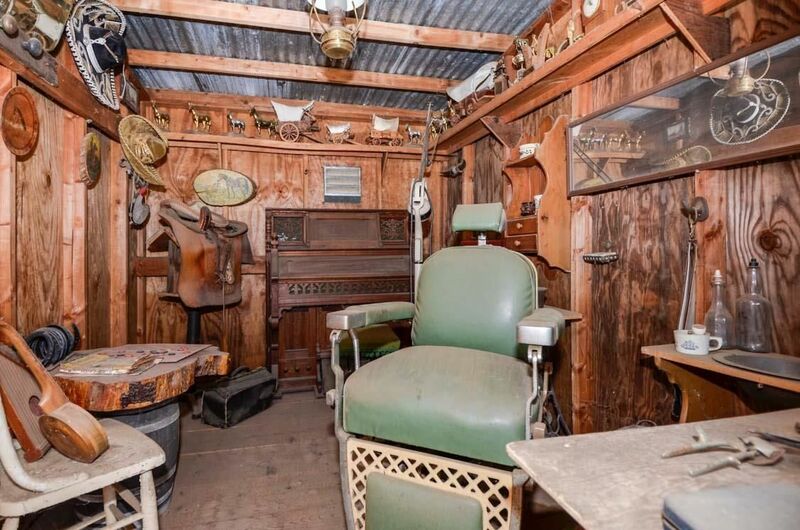 Truth be told, the Deskovicks aren’t terribly keen to move anyway. 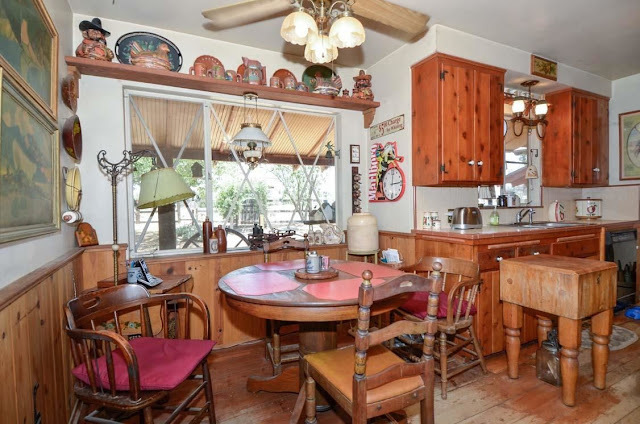 Brown told us that when he asked the Deskovicks to describe their ideal house, they specified a smallish home on a fair bit of land with no neighbors breathing down their necks.